The Cars', "Bye Bye Love"
I've listened to this over and over, and still sounds like, "It's just a f---ing alibi!" 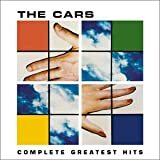 The Cars', "You Might Think"
On the second line, Ric Ocasek pronounces "kept" as "kep". Done anyone know what "kep" means?